Thu., Nov. 2, 2017, 6 a.m. 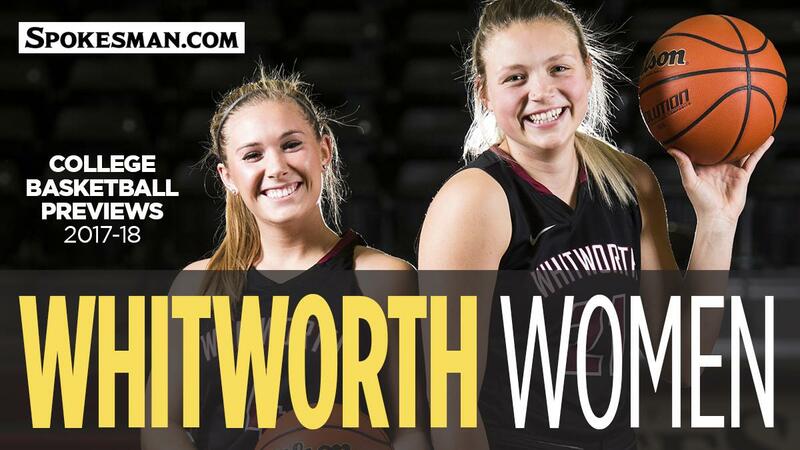 The Whitworth women’s basketball team couldn’t seem to escape the chaos that enveloped their roster last season. The Pirates, who ended last season with a 10-15 overall record, were bombarded with the flu and injuries, including a concussion just five games into the season that sidelined now-sophomore guard Sidney Riggs for the remainder of the year. The ongoing illnesses and injuries forced head coach Helen Higgs to work with an incomplete roster in 22 games. But there is always a silver lining. Some of that extra experience has already proven to be useful. Over the summer, swing player Courtney Gray told Higgs she had torn her ACL and would be out for the season. Now Higgs is looking to her prominent wings to change positions and step inside in place of Gray, a seemingly difficult task for a pair of undersized outside shooters. Annie Estes, a 5-foot-7 junior guard from Rancho Santa Margarita, California, has stepped up and worked inside at practice this month, along with Alli Kieckbusch, a powerful 5-7 junior guard out of Billings. Whitworth signed four freshmen this season after losing two to graduation. Higgs has already taken note of 5-10 forward Alyse Jackson, who was dominant beyond the arc at Mead last year. “(She) knew how to find her shot in the Mead offenses,” Higgs said. The Pirates have three returning seniors, including last year’s leading scorer Grace Douglas, who will take another starting role this season. Higgs also expects bigger roles from Erika Kuehn, a 5-7 senior guard from Billings, and Madison Moffat, a 5-7 junior guard out of Ellensburg. Higgs said she’s not overly concerned about how Whitworth’s record will look at the end of the season, she just hopes for a smoother road to March. Published: Nov. 2, 2017, 6 a.m.